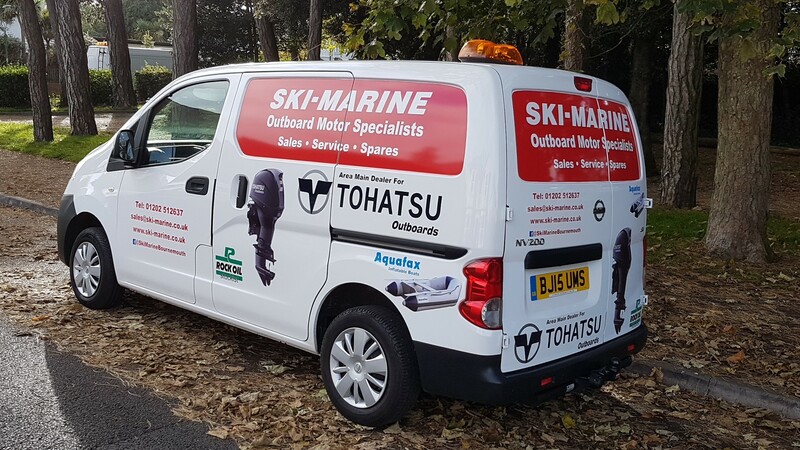 At Ski-Marine, we offer a full service and repair facility for your outboard motor either from our fixed menu (subject to age, condition and previous service history) or tailored to meet individual customer requirements. All work invoiced is fully itemised for both parts and labour so that all our customers can see at a glance exactly what they are paying for. We have a fully equipped Customer Support Vehicle which enables us to offer our customers on-site servicing and repairs throughout the Dorset and Hampshire regions. Our labour rate is currently £45 + VAT per hour at our workshop or on-site with no call-out or travel charge within a radius of 15 miles. Over 15 miles there will be a charge of 50p + VAT per mile. We pride ourselves on using top quality parts on your boat and engine and as a result we endeavour to use manufacturers' genuine parts and accessories as a first choice. All new parts are covered by 12 months' warranty. In order to cater for the DIY enthusiast, we carry a comprehensive stock of general service items (impellers, carb kits, ignition components etc), what we haven't got we'll get - fast! We respectfully request that, where work has been carried out at our workshop, payment is made on collection. Where work is carried out on-site that payment is made within 7 days of invoice date. We accept payment by BACS, credit and debit cards (excluding American Express). Please note we no longer take payment by cheque.